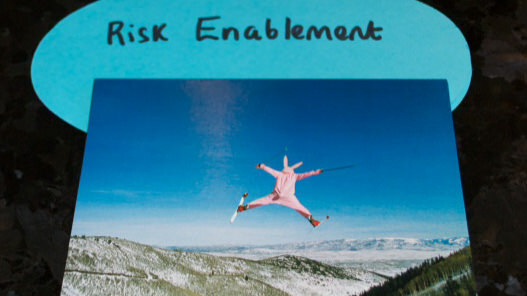 In this post I am going to focus on self-directed support and risk enablement. In January 2013 my then 85 year old aunt was diagnosed with vascular dementia. As increasing numbers of us are aware such news is at the very least depressing, especially when it is accompanied by a 'there's nothing that can be done and she's only going to get worse' prognosis. Being reluctant to take anyone at face value I thought to myself 'we'll see...' and set about finding out whether anything could be done to help my aunt. As it turns out there were indeed several things that could be done to improve my aunt's condition. In discussion with my aunt we agreed she should discontinue a sleeping pill and one other medication. Several dietary supplements have been instrumental in helping my aunt. So, while I have not (yet – never give up!) managed to cure my aunt's dementia, I have improved and for the moment at least, stabilised her condition. Neither myself nor my aunt wish to see her take any unnecessary backward steps, which brings us to self-directed support. Between February 2013 and December 2014 my aunt received 4 visits a day from East Renfrewshire home carers. To a woman these carers were happy to prompt my aunt to take her dietary supplements along with her prescription medication with several of them agreeing that the supplements were helping my aunt. However, in December 2014 after I made a complaint to the home care organiser she retaliated by instructing all of my aunt's carers to immediately stop prompting her to take her supplements. We were in a pickle! It turned out that for almost 2 years and supposedly unbeknownst to the management team, the carers had been contravening the East Renfrewshire home care medication policy. As the management team were unable to rewrite said policy unless my aunt was willing to give up taking her dietary supplements (which she was not) continuing with East Renfrewshire home care was simply not an option. What were our options then? Precious few seemed to be the answer until a nice lady at the Care Inspectorate told me about self-directed support (as well as the wonderful East Renfrewshire self-directed support Forum). Sure enough self-directed support will indeed return to my aunt the right to take control of her own health again and choose to be reminded to take her dietary supplements which, quite frankly, is a God send! Finally, I would like to say a few words about the self-directed support concept of risk enablement in relation to dietary supplements (or 'non-prescription medication' if you prefer). In my experience when it comes to dietary supplements at least, social workers are all too often still reluctant to allow service users to choose to allow a certain amount of reasonable risk into their lives, seemingly wishing to wrap them up in as much cotton wool as possible. For example, during my fight (and it was a fight) to secure self-directed support for my aunt I was told by a social worker that she would only agree to my aunt being prompted to take her dietary supplements if I could prove that they would 'only be good for her'. How could I definitely prove that as many of the things I give my aunt have (due to lack of money) yet to be fully clinically trialed? Surely if my aunt has been deemed to have mental capacity it should be up to her what she would like to be prompted to take when it comes to her medication?